Are you comfortable speaking and working with the public? Can you devote three hours on a Friday, Saturday, or Sunday to work with Friends of the Old Croton Aqueduct at their new Keeper's House visitor center in Dobbs Ferry? 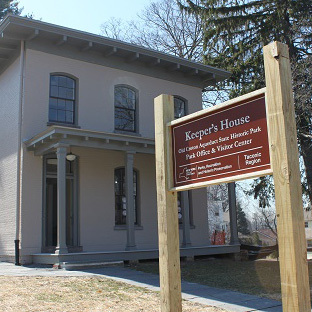 To learn more, we invite potential volunteer docents to a question-and-answer gathering on March 31, 7:30, at the Keeper's House, 15 Walnut St., Dobbs Ferry, between Broadway/Route 9 and Main St.